Hungry to know where your food comes from? FEAST: Every Year I Grow Again is an interactive dining experience celebrating the September harvest at Nantucket Culinary Centre. Audience members take a multi-sensory journey through a meal cooked by Nantucket chef Greg Margolisand taste the story of what’s growing, guided by the voices of the farmers, fishers, foragers, brewers, and beekeepers behind the food. 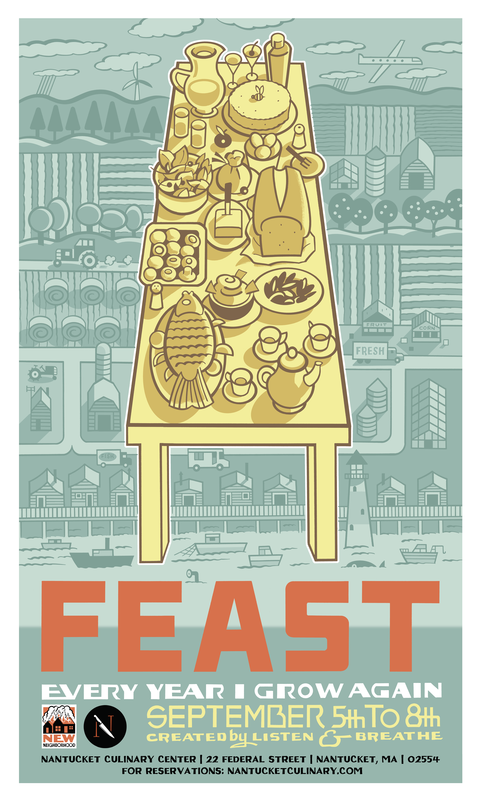 FEAST: Every Year I Grow Again will take place September 5–8, at 5PM and 8PM, at Nantucket Culinary (22 Federal Street, Nantucket, Massachusetts. Each seating is limited to 12 audience members. Tickets are $125 each and are available by phone (508) 228-COOK (2665). The complete schedule is available here.